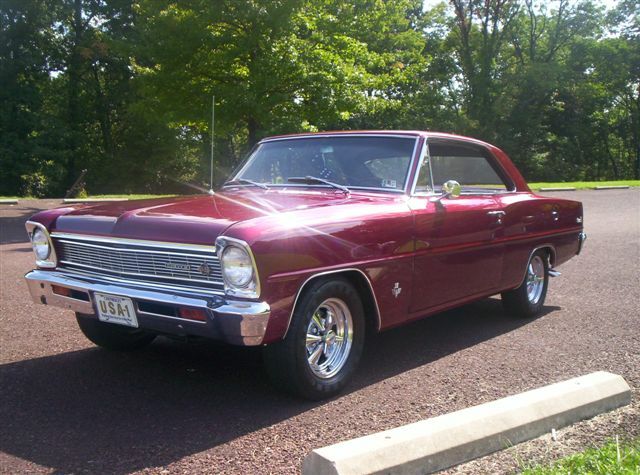 The first thing that strikes you about Joe’s 1966 Nova is the sharp paint scheme. 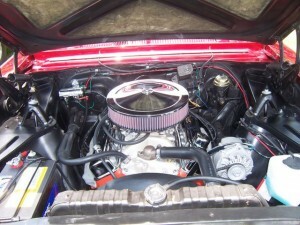 While the House of Kolors Candy Brandywine finish and the Cragars spell modified hot rod, Joe says besides these two modifications, this car is as original as new. 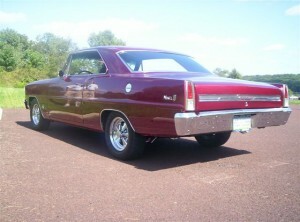 This Nova left the factory as a V8 car and still features its original, numbers matching drive train. 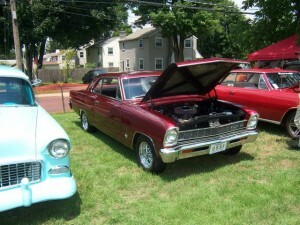 Joe and his wife have had the car about 5 years and enjoy taking it to car shows as you can see from the pictures. 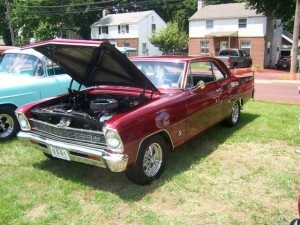 Joe is lucky to have this beautiful Nova as well as a spouse who enjoys it as much as he does. After all, she bought it for him!! !